A Tesla owner operating his Model S near London loses his license for this dumb stunt. Watch the video. The Hertfordshire Constabulary in England reports that a man has had his license to operate a motor vehicle suspended. The police group reports that Bhavesh Patel, aged 39, of Alfreton Road, Nottingham, pleaded guilty to dangerous driving at St Albans Crown Court on Friday, April 20. He had been seen climbing from the front driver's seat of his Tesla Model S into the passenger seat while the vehicle was operating with Autopilot mode engaged. A passenger in a nearby vehicle witnessed this and took video and still images of the Tesla Model S moving in heavy traffic with nobody at the wheel on the northbound carriageway of the M1, between junctions 8 and 9 near Hemel Hempstead. Other witnesses testified that the vehicle in which Patel was an occupant was traveling at approximately 40 MPH during part of the stunt. Investigating officer PC Kirk Caldicutt, from the Bedfordshire, Cambridgeshire and Hertfordshire Road Policing Unit, was quoted as saying: “What Patel did was grossly irresponsible and could have easily ended in tragedy. He not only endangered his own life but the lives of other innocent people using the motorway on that day." Patel's punishment will take multiple forms. In addition to his 18-month license suspension, Patel will also be required to complete 100 hours unpaid work, carry out 10 days rehabilitation and pay £1,800 in costs to the Crown Prosecution Service. 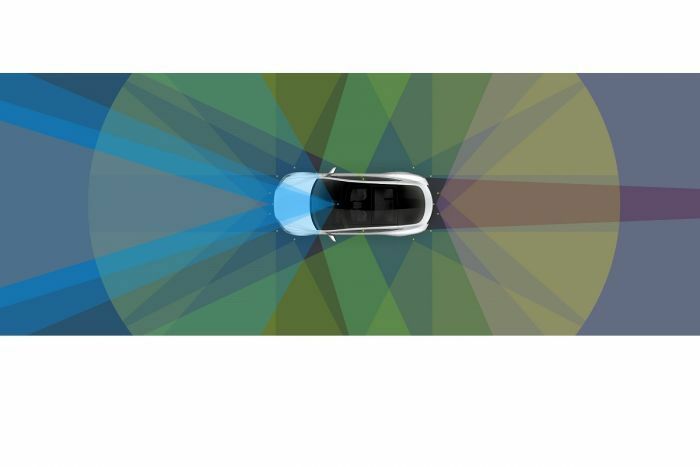 Tesla's Autopilot system has been involved in fatal accidents. Though drivers are supposed to remain in control at all times, they obviously do not in actual practice. The most recent fatality involved an Apple employee who reportedly had told Tesla that his Model X's Autopilot system was operating erratically prior to the fatal crash. Another recent crash involved a Model S slamming into the back of a fire truck parked at an accident in California.